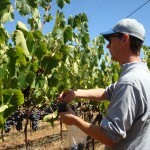 Since 2008 we have focused on Pinot noir from the Russian River Valley, Mendocino Ridge, and the Anderson Valley. 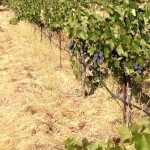 We love making Pinot noir and it will forever be the grape that is front and center for Cartograph. 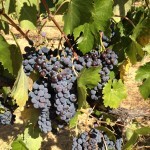 What you may not know, is one of the first grapes I started working with was Sangiovese. Under Alan’s tutelage at Crushpad in San Francisco, in fall of 2008 I had the pleasure of making one barrel of Sangiovese with fruit from the Stolpman Vineyard in Santa Barbara County. 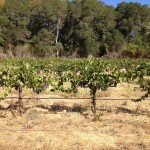 So, imagine my delight when Alan asked me to go look at the Upton Vineyard in Redwood Valley – it’s a sangiovese vineyard!